Even if I didn't look at the calendar to see that it is the middle of July, I would know that we are firmly planted into the heart of summer. We've been to the beach; we've spent hours in the pool; we have gone through bottles of sunscreen; we've eaten our weight in ice cream and frozen yogurt - all signs that summer is in full swing! No matter which season is your favorite, there are bound to be some things you like and dislike about each one. 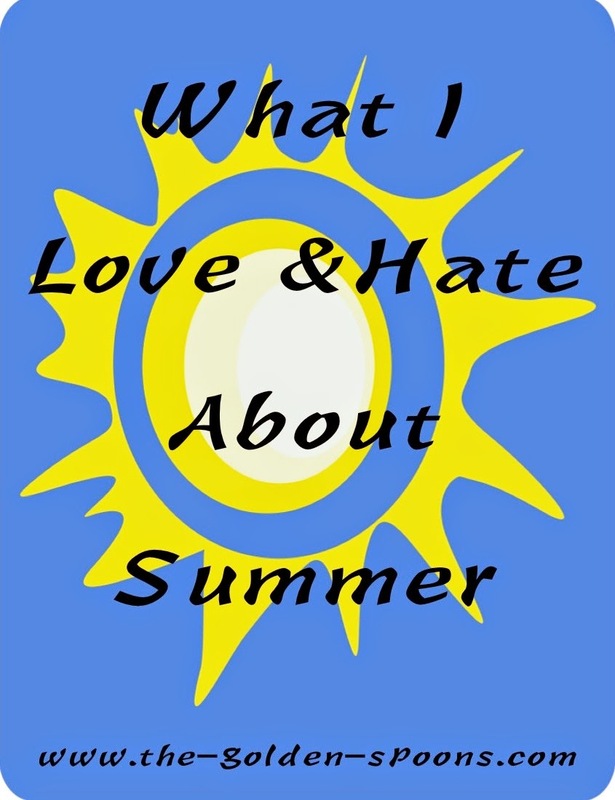 Back in January, we shared the things we loved and hated about winter, so Rabia and I thought it was fitting that we should do the same for summer! Honestly, summer is not my favorite season, but there are some things about it that I really like! 2- Not so busy schedules - During the school year, we run ourselves ragged. PTA programs, meetings, extracurriculars, homework, and the list goes on and on. I love the much more leisurely pace of summer. 3- No homework or packing lunches - I don't know any kids who like homework or any moms who enjoy arguing with their kids to get it done. This is one battle I don't have to fight during the summer. I also don't have to pack lunches. My kids are picky eaters, but in different ways. Two of them, the oldest and youngest, take a packed lunch to school EVERY DAY because they will not eat the cafeteria food. The middle one takes a lunch about half the time. I get so tired of trying to figure out what to pack and none of them like the same things. During the summer, it's every kid for herself and they can rummage throughout the pantry/fridge until THEY figure out what to eat. Then, they can fix it themselves! 4 - Beach and Mountains - I live in central North Carolina where I can get the best of both worlds in just a couple of hours. We go to the beach with my husband's family every year. We have already been this year and it was lovely. My parents live near the mountains. In a couple weeks, the girls and I will go spend a few days with them. The mountains feel like home to me and I so enjoy going back. 5 - Family Time - Of course, there is lots of time during the summer to spend with my girls and I try my best to soak that in. There is also lots of time to spend with extended family. I mentioned our trips to the beach and the mountains. We usually have quite a few family reunions during the summer as well. Slowly but surely, we are crossing things off our summer bucket list! 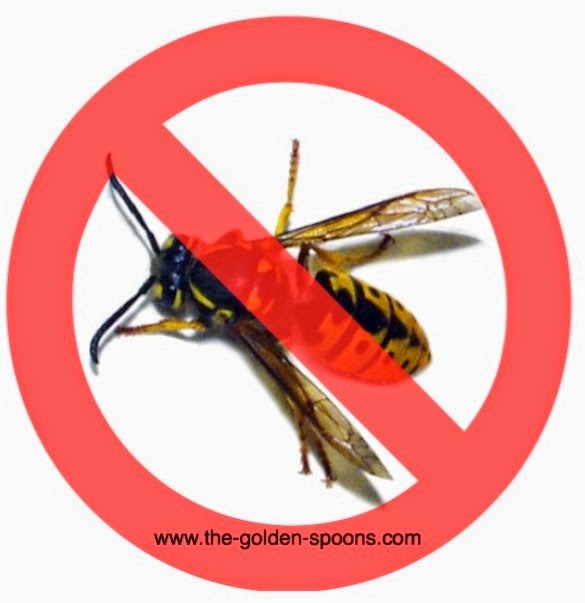 6- Bugs- This year, the horseflies have been terrible around our pool. It seems the girls spend more time diving under water to avoid being bitten than they do diving for fun. My husband and my youngest are mosquito magnets. Even when I spray them from head to toe with OFF!, they still get bitten, and, on my six year old, the bites swell up terribly the next day. Just last night I was walking with my oldest daughter and we ended up cutting it short because we were so annoyed by the bugs buzzing our heads the whole time. Two of my daughters have also been stung this summer already. Bugs are awful. 7- Heat - Of course, some summer things are dependent on the heat - like pool time. However, I despise being hot and, here in NC, sticky in the humidity. Fortunately, this summer has actually been rather mild and we even had a couple very pleasant days over the Fourth of July weekend. Most of the time, though, the heat is miserable - at least in my opinion. When I was younger, it didn't bother me so much, but having two August babies and being pregnant over two very hot summers has changed my internal thermostat. 8- Sunburn - I am very fair skinned and I get sunburned easily - always have. My middle daughter also burns very easily. I keep Coppertone and Banana Boat in business over the summer buying gobs of sunscreen and trying all different kinds, but, inevitably, we all still get burned at one point or another - often when we are at the beach. My kids are annoyed by my insistence that they apply and reapply sunscreen, but they are even more whiny and perturbed when they get burned! 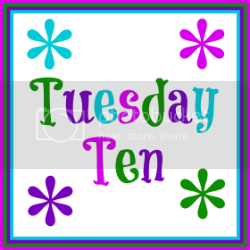 10 - No alone time - I am an introvert by nature. I need time alone to recharge and collect my thoughts During the school year, this is easier because kids are in school and hubby travels a lot for work. In summer, though, it is much more difficult to carve this out. Hubby doesn't travel nearly as much and, of course, the kids are home. To get some time alone, I have to be intentional about getting up earlier than they do and I have to not feel guilty about letting them "veg out" in front of the TV a little bit. Come link up again next Tuesday,July 15, when we will share the apps we use and/or like the most! The summer is great but not when the temperature is too high and there is no air conditioning. Trapped in a warm house, trying to get a hundred things done when the temperature is soaring is draining. However, I love summer evenings, just so beautiful in every way and perfect for a nice walk or al fresco dining. Oh I feel these! Unfortunately with summer camp, I still have to pack lunches! But all the rest are so true here too. I experienced way too many bugs this weekend. I absolutely love that you're near the beach and mountains. That's so cool! And I like your idea of giving the kids chore when they complain that they're bored. Ha! I love summer, more than anything, but there are challenges for sure. The heat, humidity, bugs, boredom. Scarlet has camp for July but it's only three hours a day! I can barely get anything done before pickup time. I don't know what we'll do in August! I miss alone time. I also hate the bugs. I have so many mosquito bites. Ha! Not me - I can't stand hot. There are plenty of benefits to offset it, though! Yes - I like summer evenings. Bugs are such an annoyance! So glad you joined this week and can't wait to read your list. I kind of like thunderstorms as long as they aren't too bad, but bugs are awful! I am definitely struggling to get things done. After BlogU, there is so much I want to do with my blog and writing, but I just cannot find the time. My kids sleep in year round. I love it because it gives me plenty of time to read my Bible, pray, exercise, shower, and dress for the day. On the days I sleep in... eeeek, it's chaos! I hate bugs and I hate the sun and heat. Really dislike those aspects of summer. I love my garden though. Wishing you a lovely week Lisa! I love sleeping in as well. Sometimes, when I'm lucky and Tucker is tired (Tuckered out hehehe), he'll crawl into bed with me around 7:30 and lay around for a while while I snooze. It's one of my very favorite things ever... and I LOVE not packing lunches!!! I do hate bugs and heat though. I mean I really hate bugs. Also, I cannot believe summer is 1/2-way over already. Great list, Lisa!! My daughter will sleep in, but the boys are up at 6AM most mornings. I don't mind all that much, but I do protest being asked to entertain them at that hour. I am jealous that your kids are sleeping in so late! I hope that my babies get to that stage someday too. I adore my quiet mornings to work. I've been getting up again around 4:30 am to get stuff done. I really need quiet to have the chance for my brain to think. I love that we don't have much of a schedule in the summer either. Our day has a pretty nice rhythm thanks to Lola's naps, but we're loving our nice unscheduled days! Summer is going by way too fast! Mine very rarely get in bed to snuggle anymore. :-( But, at least they sleep late - sometimes, my oldest sleeps until 10:00!!! Oy! That would be tough for me. However, if they entertained themselves for an hour or two, it might force me to get up and get things done. I need my quiet time, but I don't know how you get up at 4:30 every day. That would kill me! I'm with you on the bugs and heat, especially humidity - I don't do well in humid weather - I become super cranky! Me too! And there is plenty of the humidity down here in NC!